On 27 December 2018, Tozzi Green finally completed the urgent temporary work to protect, preserve and conserve the archaeological finds uncovered during the construction of the Solarwind 2 S.r.l. wind farm in Butera (CL), in the district of Monte Gricuzzo. For the second year running, Tozzi Green is supporting the “Scuola Bottega” social project of the Il Faro Social Cooperative, with the aim of enhancing local Volunteer projects and ideas, in conjunction with the Town Council of Ravenna. 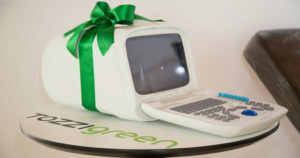 Tozzi Green has completed the construction activities with the connection to the electricity grid of the wind farm located in the municipality of Siculiana (AG), C.da Scorsonara. Cerignola historic square financed by Tozzi Green inaugurated yesterday. Tozzi Green bears witness to its care for the territory where it works through the rehabilitation of Piazza Pasquale Bona, supplying concrete backup to the Municipality of Cerignola by wholly financing the restoration interventions. 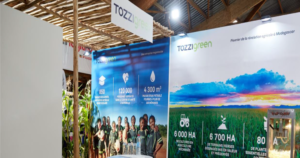 Tozzi Green Madagascar took part in the second Agriculture International Fair (AIF, 13th – 16th September 2018) at Expo Forello Tanjombato, presenting its intervention of positive exploitation of land in the south of the country and the socio-economic advantages deriving therefrom. Thursday 20th September. 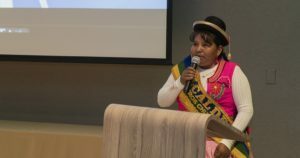 Ergon Peru, a Tozzi Green Group company, has made great progress with the project “Supply of electricity from renewable energy sources in off-grid areas”, presented to Peruvian government authorities and local administrations at an event in Lima. 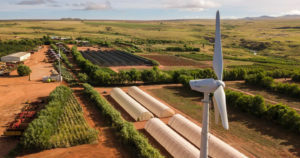 The export and internationalisation Hub of the CDP Group (Cassa Depositi e Prestiti), consisting of SACE and SIMEST, is supporting the development in Madagascar of Tozzi Green, a Ravenna company specialising in the renewable energy sector. 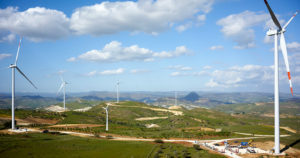 Tozzi Green has completed the construction work with the connection to the electricity grid of the wind farm located in the Mount Gricuzzo area of the municipality of Butera (CL). Tozzi Green has officially inaugurated the medical health centre (which actually opened in 2012) in the presence of members of the current government, the authorities and local and regional partners from the private sector. 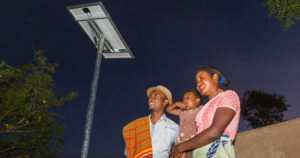 Tozzi Green confirms its commitment to the wellbeing of the populations it collaborates with in Madagascar, presenting an intervention of rural electrification in the municipality of Andiolava, in the south of the Ihorombe. Tozzi Green has installed a new hybrid wind-photovoltaic system (with a 60W Tozzi Green wind turbine) with storage, capable of delivering 100 kW/600 kWh of power. 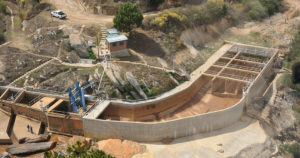 Ergon Perù, a company of the Italian Tozzi Green group, is carrying out a project in collaboration with the Ministry of Energy and Mines (MEM) for the supply of electricity from renewable energy sources throughout Peru. 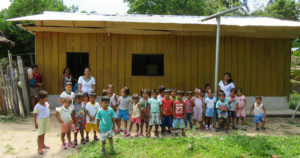 Ergon Perù, a company of the Italian Tozzi Green group, has obtained financing of USD 142 million for a period of 13 years from the Peruvian development bank Cofide (Corporación Financiera de Desarrollo S.A.) and from Sumitomo Mitsui Banking Corporation (SMBC), for its rural electrification project in Peru. The Global Off-Grid Solar Forum and Expo is one of the most important international events in the solar off-grid sector that can provide a unique platform for the exchange of knowledge, building networks and presenting solar off-grid products and services.